The Law Firm of Kulerski and Cornelison has offices in downtown Chicago (Cook County) and in suburban Oak Brook (DuPage County), IL. For most people, filing income tax returns is simply a minor inconvenience. They gather the information they need, and either fill out the forms themselves or have help from an experienced professional. But for those who are separated or in the process of getting a divorce, an unpleasant reality like tax returns can quickly turn bitter, and may even become the catalyst for a larger battle. Planning ahead and working with an accountant familiar with divorce proceedings is key to a smooth tax return. When it comes to taxes, this is probably not the best time to try to go it alone. “Find a good tax accountant, preferably one who specializes in the circumstances and situations facing those who are separated or for whom divorce is underway,” says Cornelison. When speaking with an accountant, there are a few things that will make a difference when it comes to filing taxes. First, will the filing status be that of married or married filing separate? There is a difference in tax liability and it’s typical to find that married filing separate may not be the most advantageous from a tax perspective. In other words, many people find they have to pay more tax. Finally, what will happen to any funds that are received as part of a tax refund? Will they be divided equally, potentially set aside to pay for the kids’ education, or does one party receive the full amount? It’s important to decide this before the refund is received. Along the same lines, what if money is owed to the IRS? “There is no hard and fast rule as to how this is handled. It simply has to be a joint decision by both parties and may need intervention from their respective legal counsel,” states Cornelison. Taxes are one of the most important aspects when a separation or divorce situation is transpiring. How it’s handled is completely based upon the relationship of the two parties and their ability to work together for the best outcome. 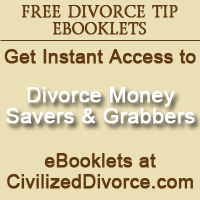 For more information call 630-928-0600, or visit civilizeddivorce.com. Questions can also be directed to either Kari L. Cornelison (kc(at)illinoislegal(dot)com) or to J. Richard Kulerski (rk(at)illinoislegal(dot)com).